Spring super saver! 40% off all our TEFL Courses and Resources until Sunday with code 'SUPER40'. Internationally recognised. Highly accredited. Developed by teachers for teachers. With a TEFL Org qualification you can teach English all over the world, online, or at home! Every year we train around 12,000 EFL teachers. Equipped with the skills, knowledge and confidence to teach English as a foreign language, our TEFL course graduates have found work all over the world. All our courses are designed and led by highly experienced EFL teachers which means you can be confident that the training you receive is exactly what you need to land your dream job teaching abroad. We’re here to support you throughout your TEFL journey. From your own personal tutor, to our TEFL Jobs Centre and expert advice from our TEFL advisers at any stage. Your goal to teach abroad is our goal too. Teach abroad. Teach online. Teach at home. There’s a world of opportunity out there once you’re TEFL qualified so what are you waiting for? What TEFL course is right for you? A TEFL qualification is measured in hours and most employers look for teachers to have at least a 120-hour certificate. If you have no previous experience teaching English then we recommend one of the courses below for comprehensive training and the best job prospects. Our recommended online-only course. Providing you with comprehensive TEFL training all from the comfort of your own home, our 120-hour Premier Online TEFL course is the qualification you need to teach abroad. Our recommended combined course. Combining our 20-hour classroom course and 100 hours of online study, this course will set you up with the skills and confidence to find work teaching English abroad. If you’re looking for the highest available level of TEFL certification our Ofqual regulated Level 5 TEFL course is for you. This advanced and in-depth course has been specifically designed by us to give you even more job opportunities, improved salary potential, and the confidence to work and travel throughout the world. Flexible and self-paced. Our online courses have been created to fit around your existing schedule so you can get TEFL certified in your own time, at your own pace. With the same level of accreditation as our practical course, our online TEFL courses are the perfect option if you’re unable to fit in a classroom course. Led by a highly experienced and qualified EFL tutor, our classroom course will cover how to plan and deliver effective and engaging lessons to English learners of any age and level. 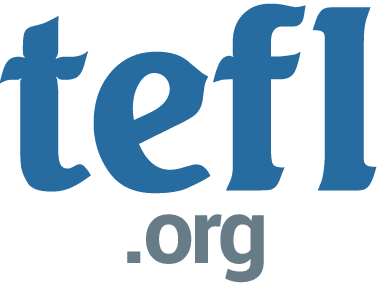 This is a great option if you’re just looking to get a taste of what it means to TEFL/TESOL but for more comprehensive training we recommend a combined online/classroom course. The 30-hour Weekday TEFL Course is a great way to get TEFL qualified in only three days. You’ll learn everything you need to start out in the TEFL classroom! Our weekday classroom courses run Monday to Wednesday 9am to 6pm at selected locations across the UK and Ireland. Combine flexible online study with a fun-packed, confidence-boosting classroom course. Our combined courses are designed to give you an excellent grounding in English grammar and TEFL methodology with support from highly experienced EFL tutors both online and in a classroom setting. The 140-hour Premier TEFL Course is our premier combined TEFL course offering the best in online TEFL modules with a weekend in the classroom to learn practical skills. It is the ideal course for people who want to be as prepared as possible to start their TEFL career. This TEFL course will give you a practical and fun introduction to TEFL methodology, an in-depth exploration of TEFL theory, video observations of real TEFL lessons and a solid grounding in all of the grammar and terminology you will be teaching in your classes. The 150-hour Premier TEFL Course is our premier combined TEFL course offering the best in online TEFL modules with three weekdays in the classroom to learn practical skills. It is the ideal course for people who want to be as prepared as possible to start their TEFL career. The 30-Hour Online Grammar Course has been written to give first-time teachers a thorough grounding in the terminology and rules of English grammar. The 20-hour Online Video Course has been created as an opportunity for you to observe TEFL classrooms and improve your own lesson plans. This certificated course will give you a further 20 hours of training. Please see below for a list of our upcoming course dates and locations. These are where we hold our weekend and weekday TEFL courses which run throughout the UK and Republic of Ireland. If there is a location not listed that you would like to see, drop us a message and we can consider it for future courses! TEFL courses in over 20 cities across England, no matter where you live you'll find one near you! From the Borders to the Highlands, we have TEFL courses available in five cities across mainland Scotland. Classroom TEFL courses available in Cardiff and Swansea. For North Wales, our course in Chester is available. TEFL courses available in Dublin, Cork, and Sligo. We run courses regularly from these locations, come and see! Take a TEFL course in sunny Spain! Courses available in Madrid, with intentions to open new locations later. Read more about what students think of our courses on our reviews page.